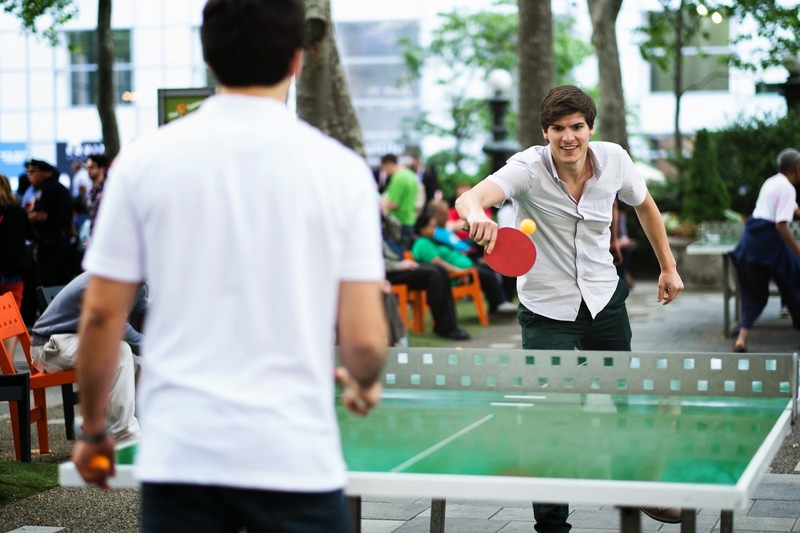 The Tables, Bryant Park’s beautiful Ping-Pong area, has hosted exciting singles tournaments for three years now, but in September, we kick it up a notch. The first-ever Mixed Doubles Tournament will be held on Wednesday, September 17. Each team will consist of one male and one female (neither of whom can have a USATT rating above 2000). There are slots for 32 teams, and pre-registration is required. You can register here. Be sure to check-in when you arrive at The Tables. If there are slots remaining, teams can register onsite beginning at 6:00pm on tournament day. If you’re a female and don’t have a partner, email us at bpc@urbanmgt.com and we’ll match you up with a male. Play begins promptly at 6:30pm and continues until we crown the champs, who will take away prizes selected from Bryant Park Shop.